Experts estimate that there are approximately 48 million people throughout the United States living with hearing loss. 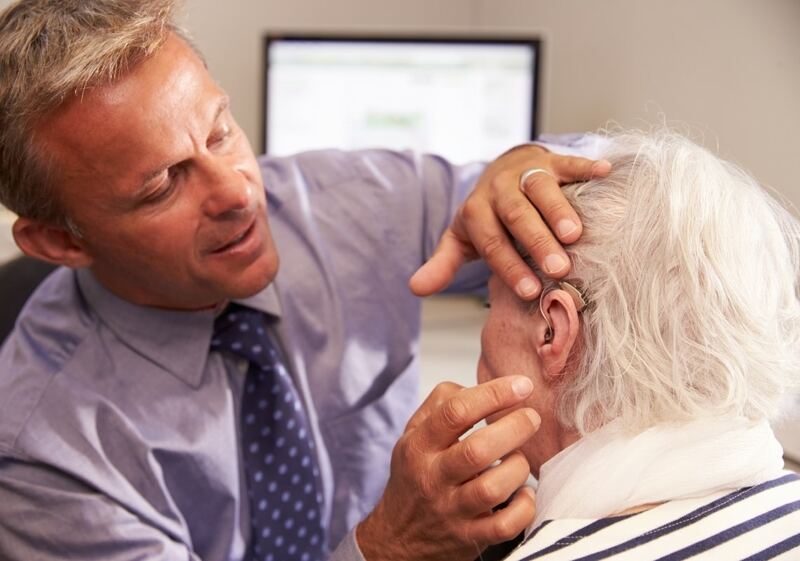 Around 30 percent of senior adults over the age of 65 and 60 percent of senior adults over the age of 75 are living with hearing loss. As a family caregiver, this can seem like a staggering statistic, but it also illustrates the importance of being prepared to talk to your parent about the need to use a hearing aid. This can be a sensitive and challenging topic for your parent, making it important that you approach the topic carefully and are also willing to be open, honest, and straightforward with them. Avoid “beating around the bush” with your senior. This can make them uncomfortable and feel like they should be embarrassed about something. Instead, be upfront and straightforward with them about the situation. Rather than talking about this situation in terms of your parent’s hearing loss, discuss it with them in terms of how a hearing aid could benefit them and boost their quality of life and their functioning. For many elderly adults, hearing something from their doctor makes something seem more important or “real.” Ask their doctor to talk to your parent about their hearing loss and discuss how a hearing aid could help them. They may even be able to show your parent examples of hearing aids so that they see that there are options available. This can make the situation seem less daunting. Starting home care for your aging parent can be one of the best decisions that you can make for them throughout the course of your caregiver journey. A home care services provider can be with your aging parent on a fully customized schedule to ensure that your loved one gets everything that they need to stay healthy, safe, comfortable, and happy as they age in place. Through a highly personalized set of services this home care provider can help your parent to meet their individual needs, challenges, and limitations in the way that is right for them. These can include providing safe and reliable transportation, helping with taking care of the home, providing assistance with personal care tasks, helping with meal preparation and eating, and more. As a family caregiver this can give you tremendous peace of mind knowing that both when you are with your parent and when you are not, your senior is in the best hands.